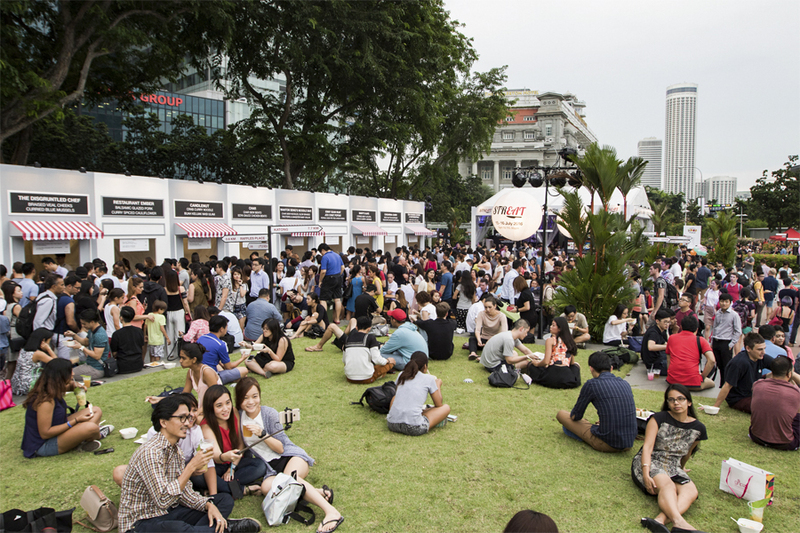 The Singapore Food Festival (SFF) is back. 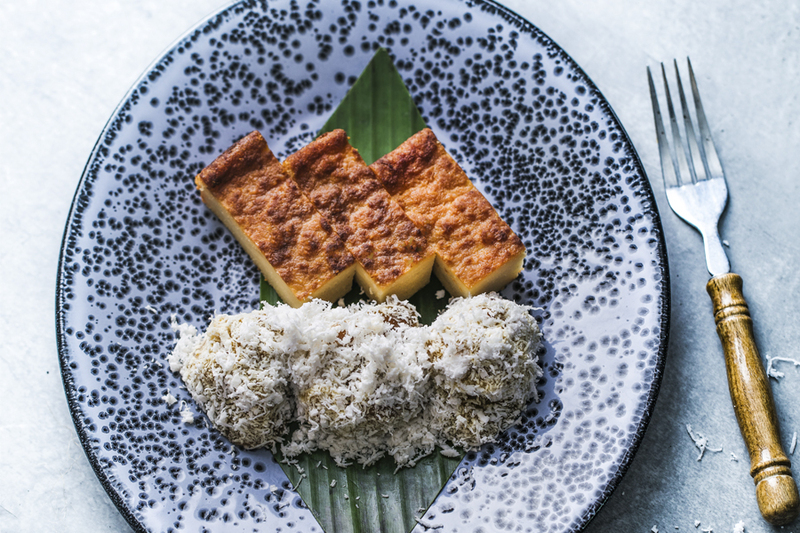 Now in its 25th year, the main event in Singapore’s food calendar shines the spotlight on authentic local flavours and culinary talents. 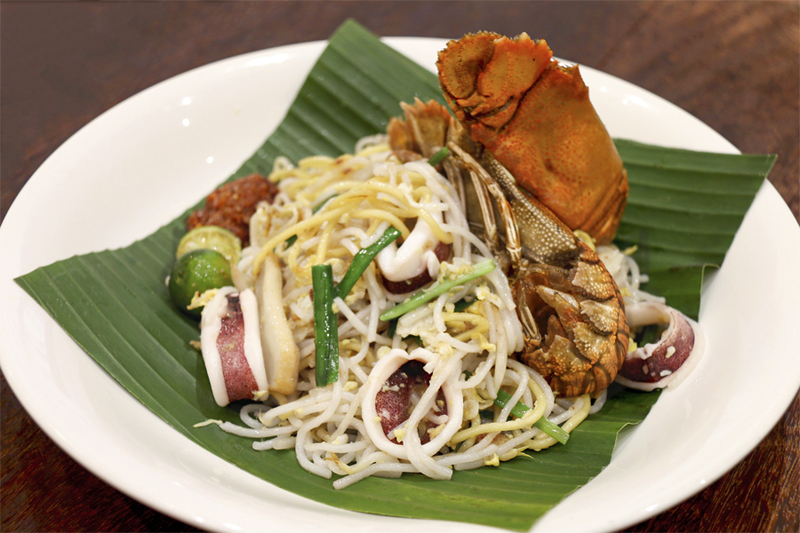 Taking place from 13th to 29th July, the festival retains its theme of “Savour Singapore in Every Bite”, an invitation to festival goers to rediscover/discover Singapore’s identity through its food. 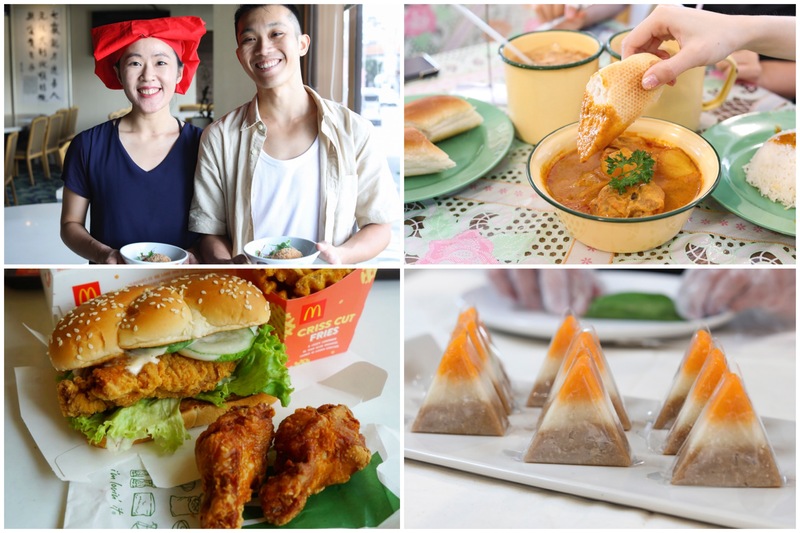 Whether you are a visitor or a local, you will get to explore the different sides of Singapore through the multi-faceted menus presented at this festival. The festival experiences even go beyond food, with an array of culinary experiences like craft workshops, cooking demos, and theatrical experiences. 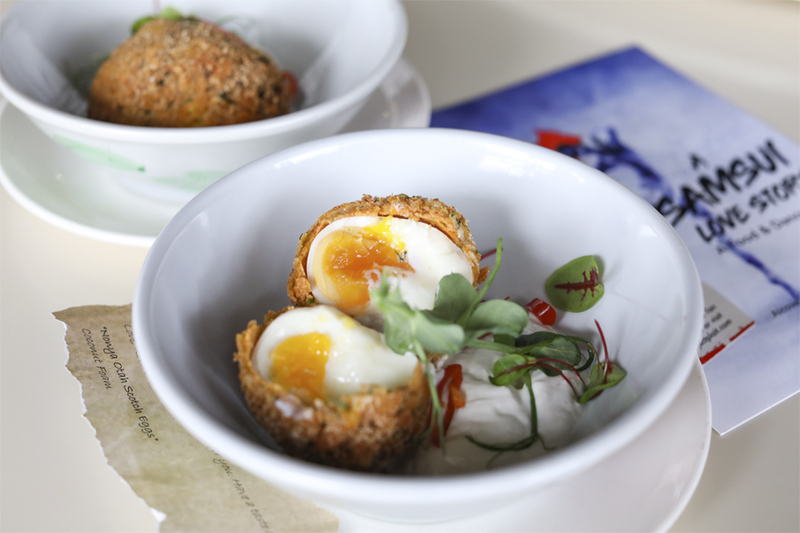 Before going into some of the highlight SFF events, what do you think your foodie profile is? Perhaps you will fall in more than one category, but this will help you plan your SFF programmes better as it is 3 weeks of feasting. (You can download the SFF 2018 guide here and track the SFF 2018 experiences that cater to your palate. Are you a person who lives and breathes everything modern? Are you a fearless early adopter of new food trends like molecular gastronomy? The range of modern interpretations of familiar flavours, will appeal to you. Look under this section if you enjoy authentic local experiences and flavours. You want to live like a local – eating what they have for breakfast, lunch and dinner on a day-to-day basis. The SFF experiences here are made for you if you appreciate various expressions of creativity, from films and paintings to food and literature. You are the type who will watch a film about sushi while eating sushi. If you are a person with a strong affinity for things from the past, and you believe the best way is still the traditional way, you’ll be at home at these experiences. For you, there’s “no school like the old school”. 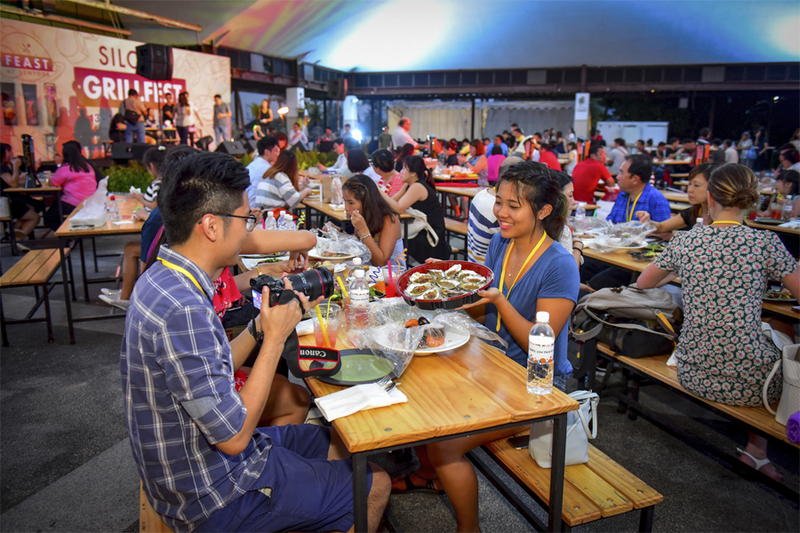 STREAT, the signature event of the Singapore Food Festival, is a two-day long outdoor event and will feature exciting dishes by local culinary talents. This year features the largest edition of STREAT to-date – think more exciting programmes, a bigger venue (at Empress Lawn), longer hours and for the first time, a dedicated bar by Asia’s #1 Manhattan. 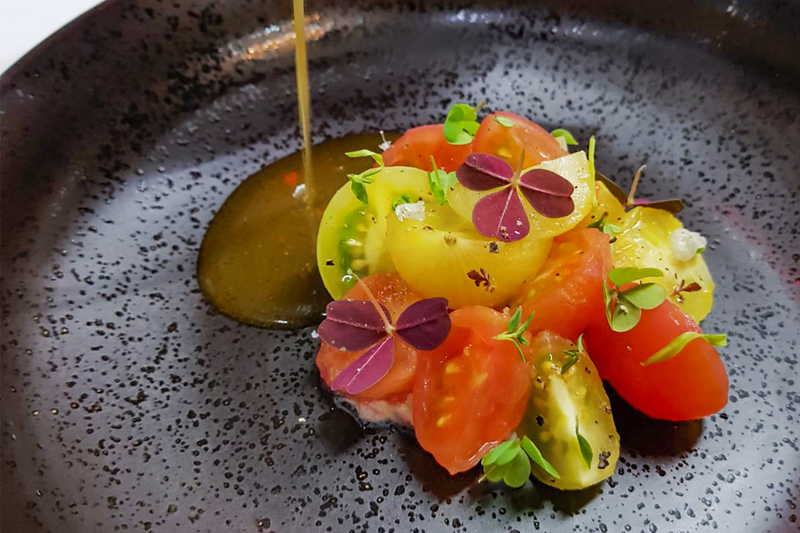 Headlining STREAT is a four-hands pop-up restaurant helmed collaboratively by Chef Emmanuel Stroobant (from one Michelin-starred Saint Pierre) and Chef Haikal Johari (from one Michelin-starred Alma), featuring a five-course local-inspired menu. 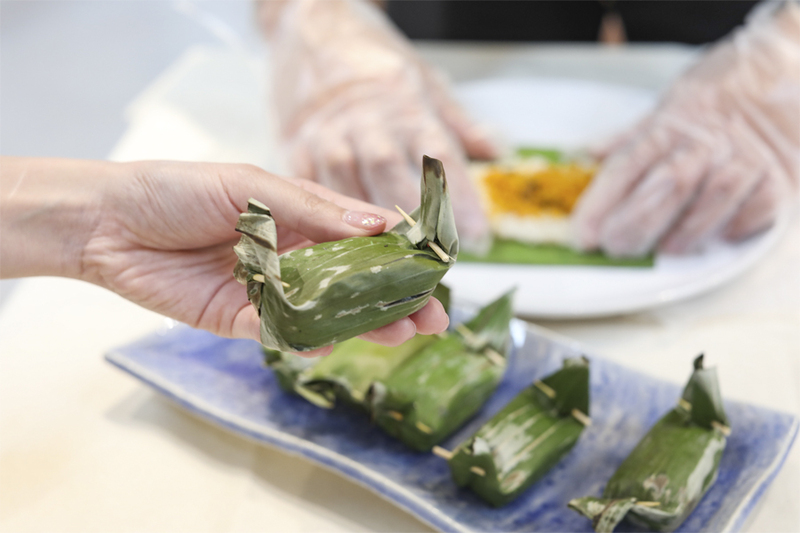 If a sit-down dinner isn’t for you, the complementary line-up of hawkers and chefs will also be serving up traditional and modern takes on Singaporean classics. 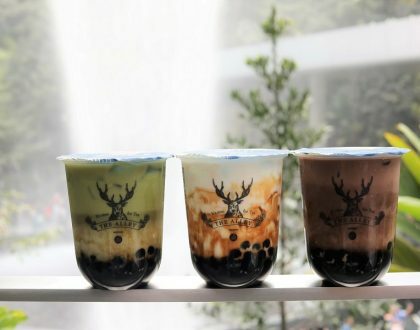 Participating establishments include Old Bibik Peranakan Kitchen, Gayatri Restaurant, Sinar Pagi Nasi Padang, CreatureS, Quarters, Xiao Ya Tou and Non Entrée Desserts. Don’t miss the culinary workshops, local entertainments acts (like Tim de Cotta) and a retail pop-up for an engaging gastronomic outing. 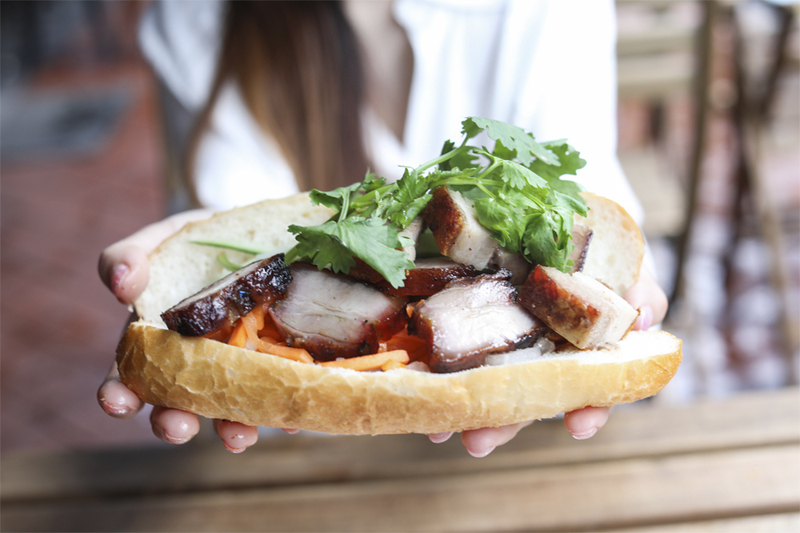 A western favourite with an innovative Asian twist – Park Bench Deli collaborates with Roast Paradise on July 15 to showcase well-loved traditional Singaporean meats like char siew, sandwich-style in fun and unexpected ways. 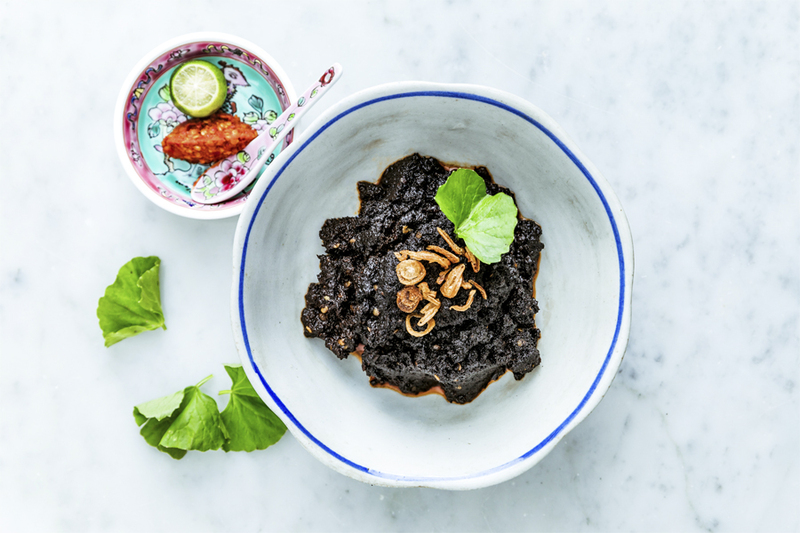 On July 29, Rumah Makan Minang takes the spotlight as Park Bench Deli puts a twist on Minang’s well-loved Indonesian classics like beef Rendang and Nasi Padang. Native Cocktail bar will also be serving up complementary drinks made with regional produce in local flavours. AccorHotels celebrates SFF in a big way, with a line-up of traditional crowd-pleasers. 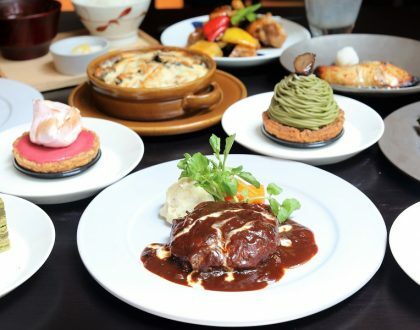 Participating F&B outlets include Anti:Dote, Ellenborough Market Café, Kwee Zeen, Xprience, Winestone, Jia Wei Chinese Restaurant, Royale, and Racines. 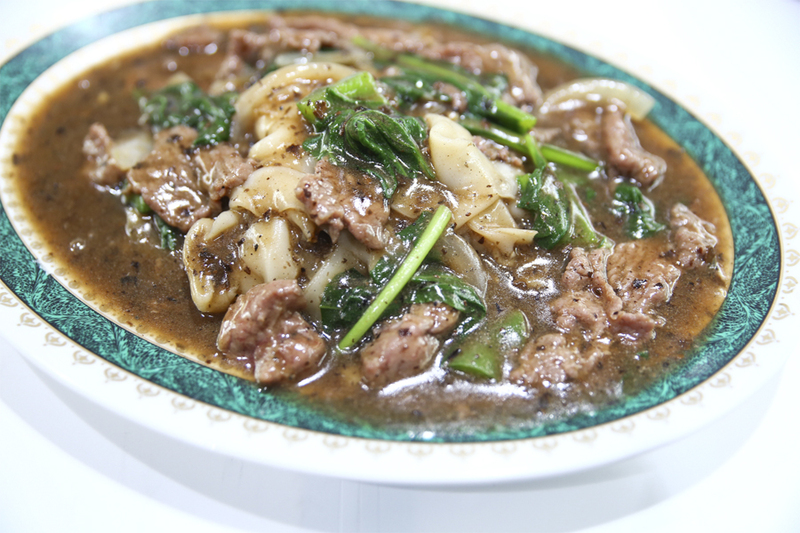 Explore Hokkien prawn noodle soup, Har Cheong (prawn paste) spring chicken served with herb potato and spinach, as well as Laksa Seafood Paella. 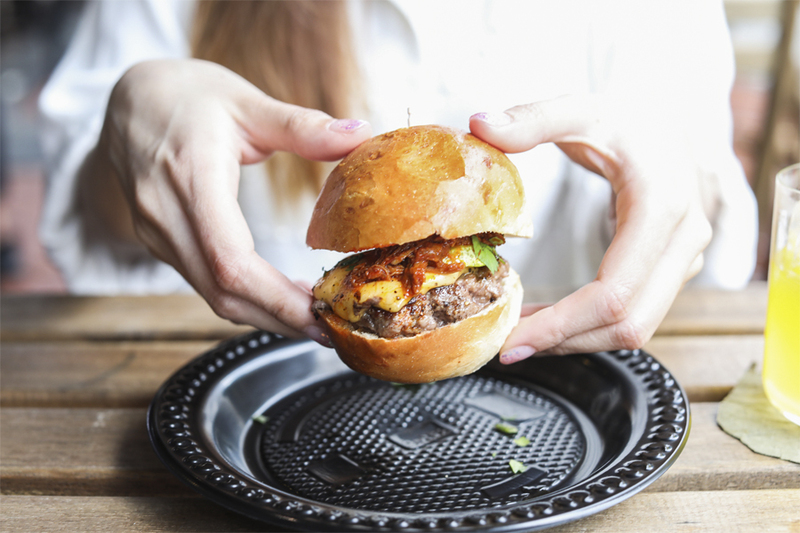 Remember last year’s Nasi Lemak Burger which resulted in a huge demand and trend? 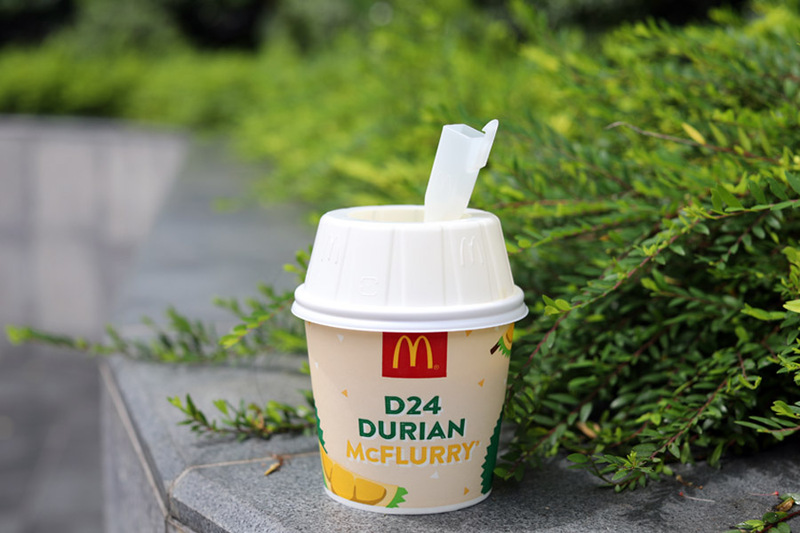 This year fast food chain McDonald’s has whipped up a new D24 Durian McFlurry made with real D24 durian puree, swirled into their vanilla soft-serve. 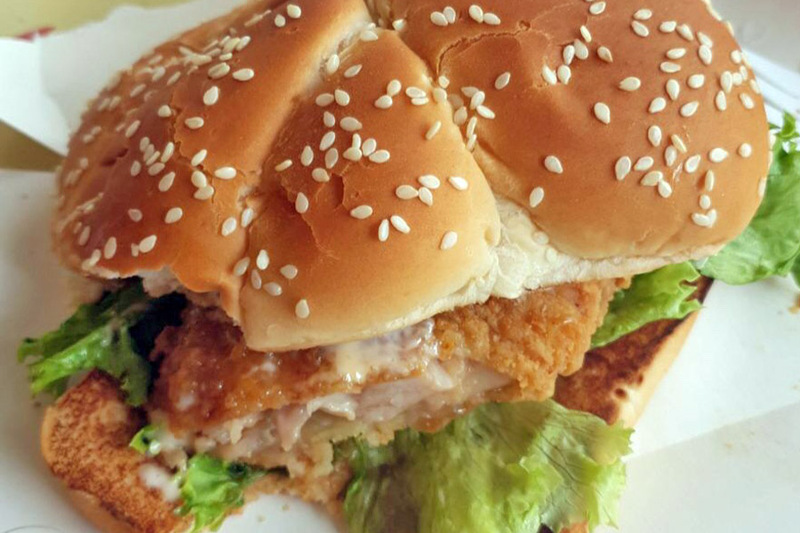 The fast food chain has also launched the Ha Ha Cheong Gai Chicken Burger ($6.05) and and Ha Ha Cheong Gai Chicken Drumlets ($2.20) in conjunction with SFF. 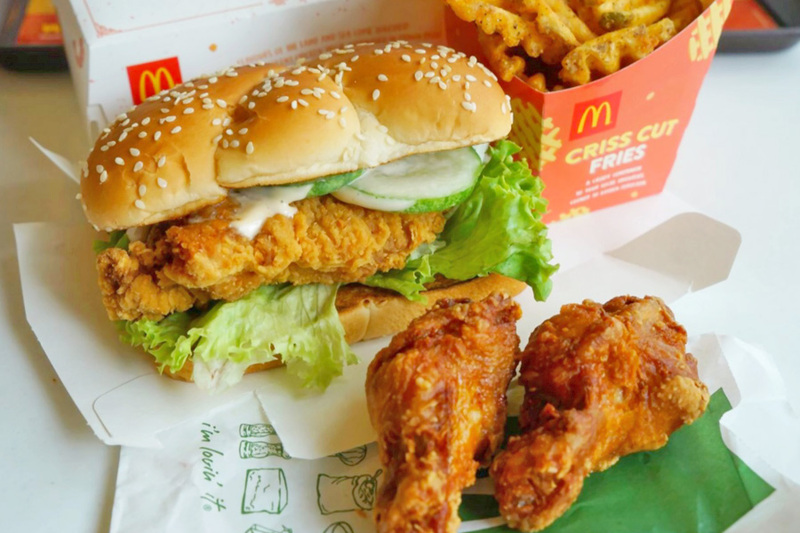 The anticipated burger consists of a whole chicken thigh marinated with real prawn paste, coated with crispy bread crumbs and slathered with prawn paste-flavoured mayonnaise. For their curry sauce lovers, also look out for the Breakfast Curry Burger ($4.20) available during breakfast hours. The burger is served with patty, melted cheese, sunny side up and the signature curry sauce. 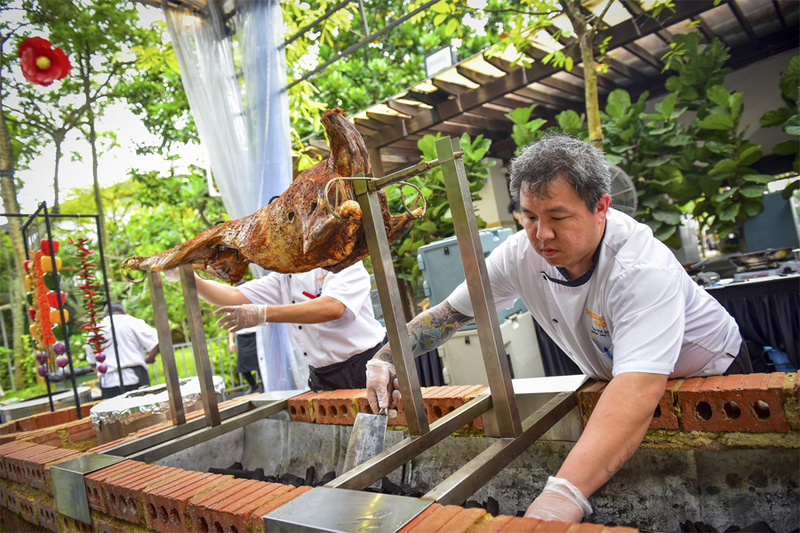 The Sentosa Grillfest returns, transforming Siloso Beach into a 1km food street by the beach. 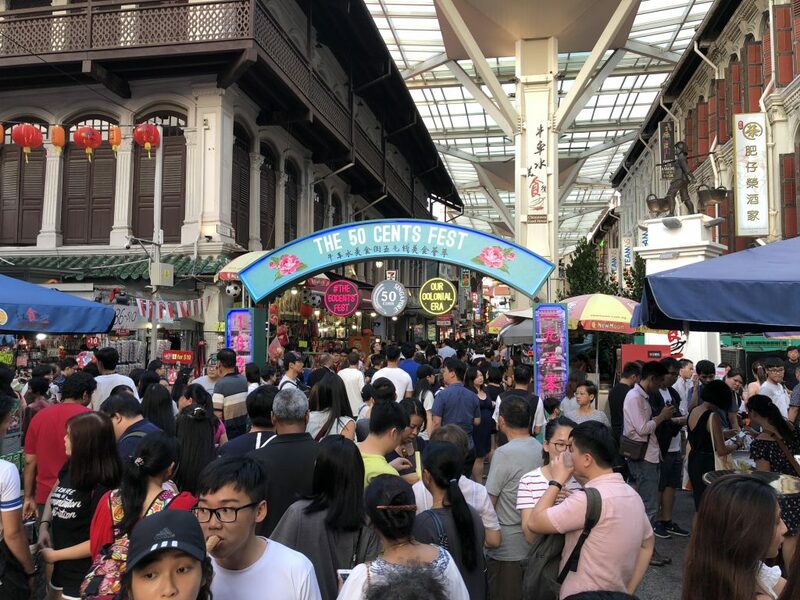 With more than 20 F&B kiosks, featuring Sentosa F&B operators and Singapore’s very own 2nd-generation hawkers, you will be spoilt for choice. 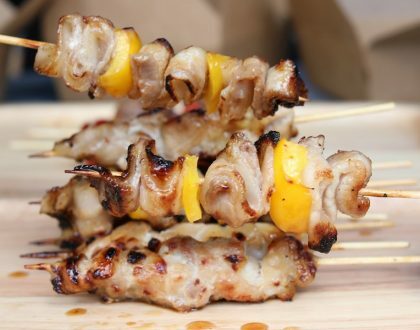 Explore international cuisine, BBQ delights and local treats like Jumbo Hokkien Noodles, old school calamansi with sour plum, and Salted Egg Chicken. On 13-15 July, catch culinary talents from ITE School of Hospitality as they showcase their cooking skills on centre stage. Another highlight is the inaugural Gourmet Market at the Sapphire Pavilion. You can pick your raw ingredients from the market, then let the onsite chefs prepare them for you. Enjoy live musical performances and the soothing sea breeze as you savour the flavours of Singapore on the beach. 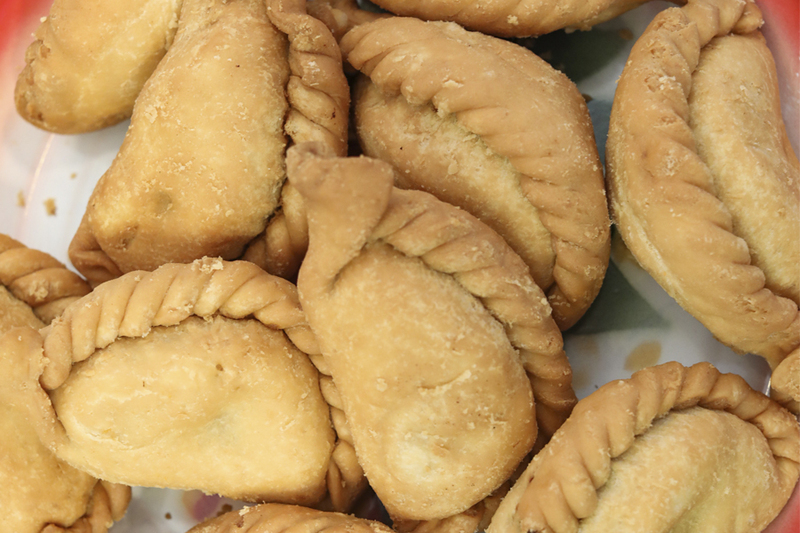 Have you tried crimping your own curry puff? 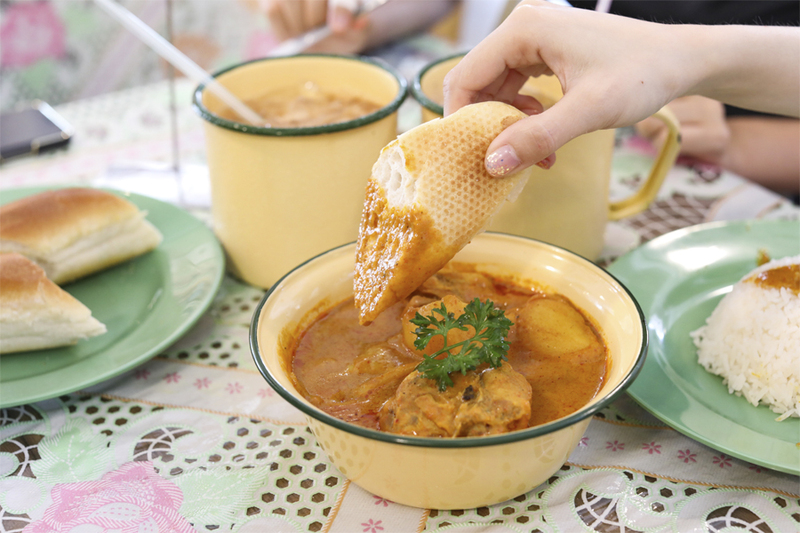 Curry Day 2018 gives curry the spotlight, with a feature of all types of curry dishes and snacks, like curry puffs, curry buns and curry chicken. And curry love goes beyond food. 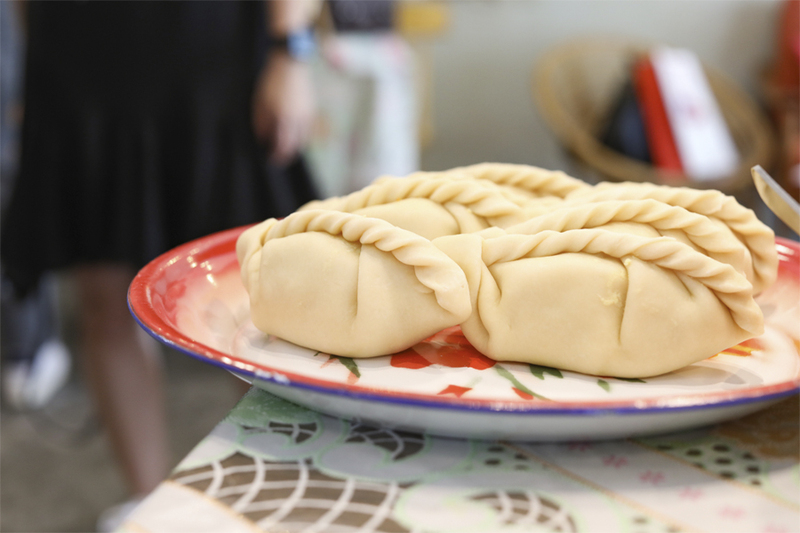 Try any of the curry-related activities like curry puff crimping sessions and spice art lessons for the kids. 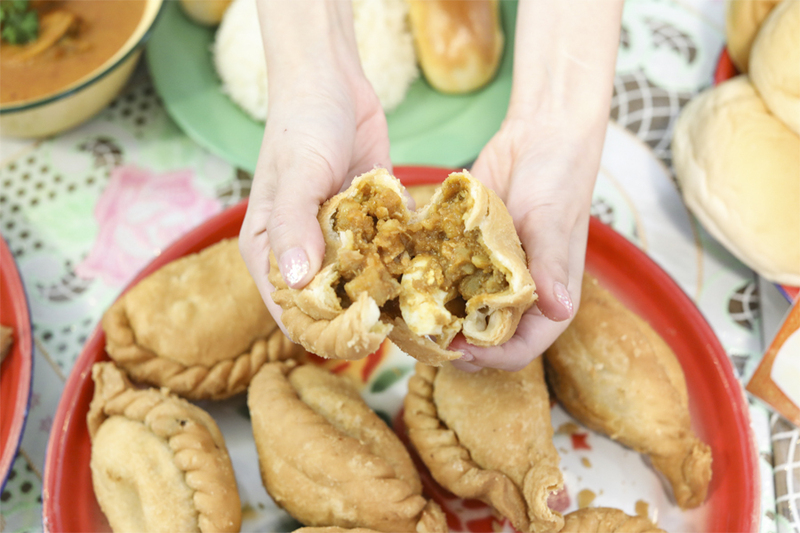 Also, watch out for the launch of 2 special curry puffs – the durian and jackfruit flavours. 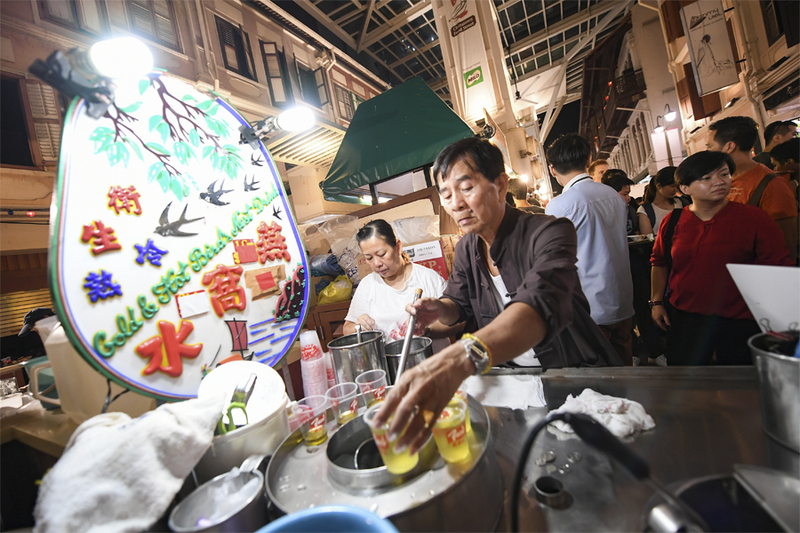 Hawker Spotlight 2018, now on its fourth edition, will feature Amoy Street Food Centre, home to many heritage hawkers. Visit this decades-old hawker centre and discover the stories behind some of Amoy Street Food Centre’s most beloved stalls, including Ah Ter Teochew Fishball Noodles, Syed Mohammed Drinks and Quan Ji – famous for its Beef Horfun. In celebration of the Singapore Food Festival’s 25th anniversary, you can pick up exclusive Hawker Spotlight booklets at the City Gas Gallery and Singapore Visitor Centres. Use these to get special deals and discount coupons at Amoy Street Food Market. 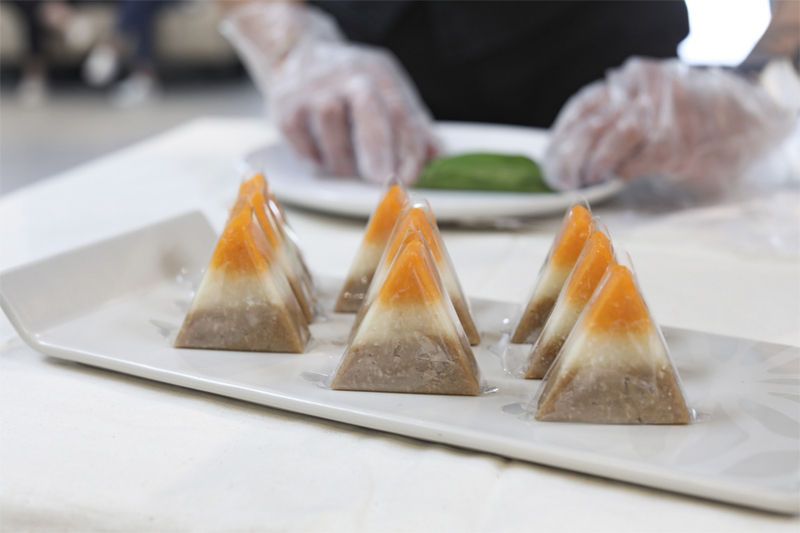 This event features a 5-course modern Singaporean meal interwoven with contemporary dance. 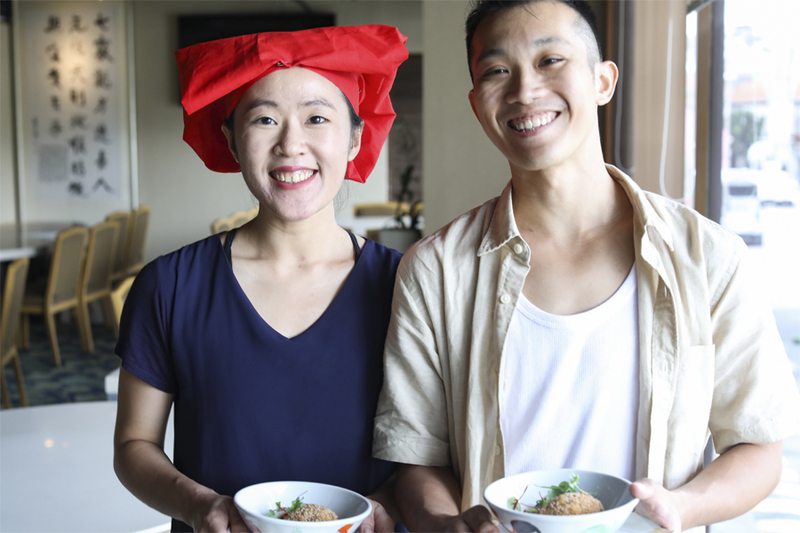 It is a unique collaboration between Chef Nixon Low and choreographer Naomi Tan. Expect a full-on sensory journey as you immerse yourself in this interactive dining experience. In this intimate setting, you can follow the star-crossed story of the Samsui woman and the Satay man. Want to travel back in time through food? 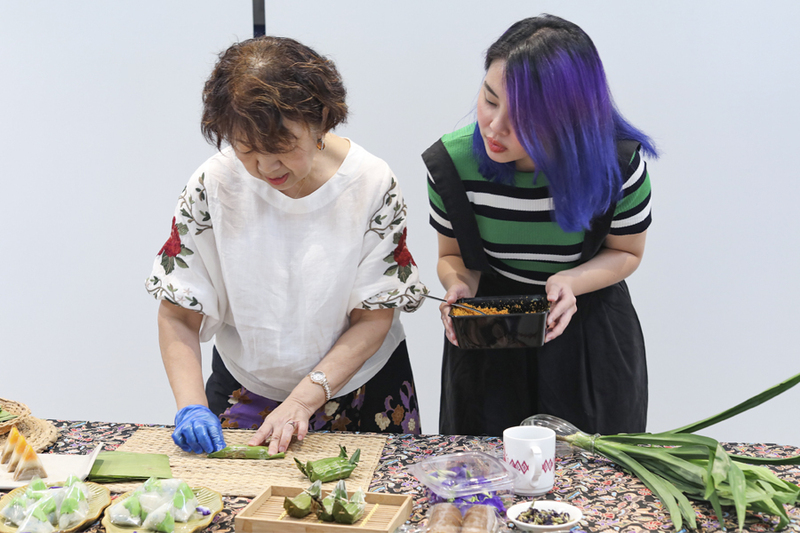 This is the one event many Singaporean foodies are looking forward to. This year, The 50 Cents Fest is bigger and grander with more authentic 1930s sights and sounds. For as little as 50 cents, you can savour authentic 1930s dishes including Kerabu Bee Hoon (tossed rice vermicelli), Fish Moilee (lightly spiced creamy fish curry dish) and Kopi Gu You (butter caramelised black coffee) and other long-lost ethnic dishes from the colonial days. Be entertained by street acts such as Taxi Girl performances and traditional opera. Don’t miss the virtual reality installation, where you’ll be able to walk down the streets of 1930s, relive the nostalgia, or simply discover life in the olden days. Time Out, Chef Damian D’Silva of Folklore Restaurant and various guest chefs including Chef Han Liguang of Labyrinth, Chef Haikal Johari of Alma and Chef Pang Kok Keong of Antoinette collaborate and take diners on a food journey through Singapore’s past, highlighting age-old recipes of fast-vanishing dishes through a multi-course dinner. Over stories of Singapore’s food traditions, imbibe cocktail pairings which incorporate distinctively local ingredients for a nostalgic and delicious night out. This event brings together three local producers who will share about their produce, how to grow and care for them, and how they are used in heritage confections. 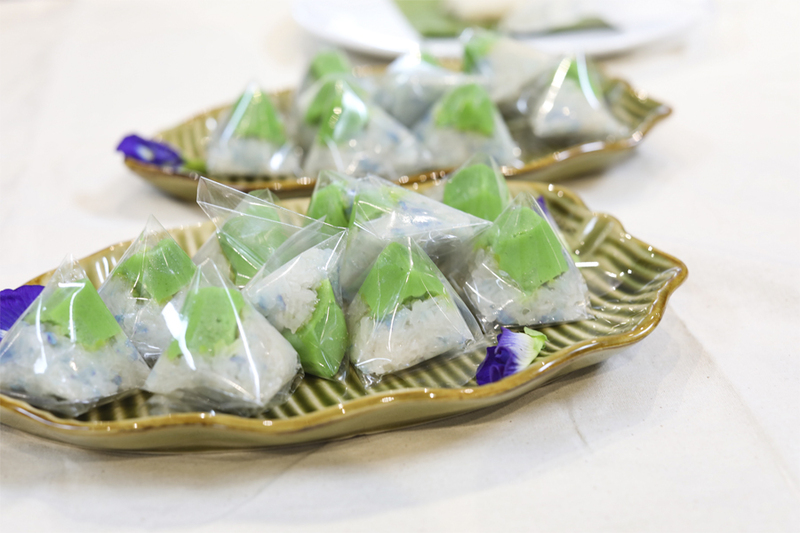 You can learn how to make a traditional kueh using ingredients from the respective local producers. 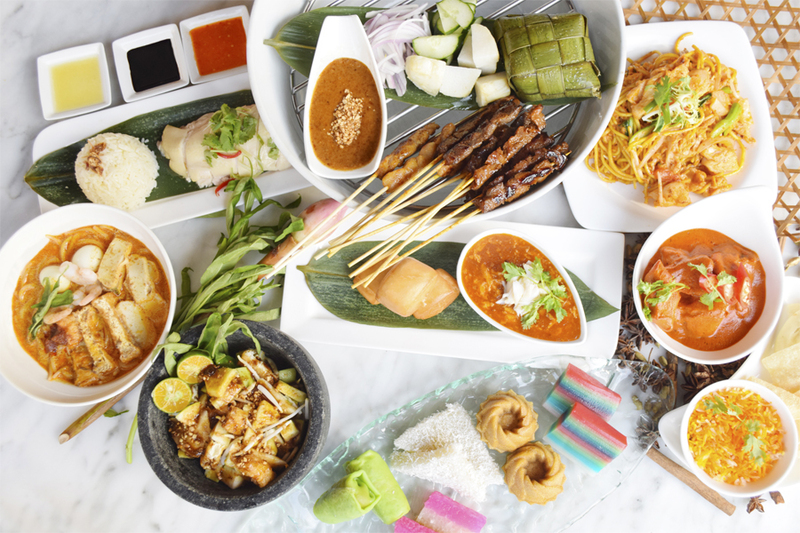 The Singapore Food Festival takes place in various locations across Singapore from 13 to 29 July 2018. For more details, visit: www.singaporefoodfestival.com . *This entry is brought to you in partnership with the Singapore Tourism Board.